The renewed Ridge! Success boot from Alpinestars now improved. The Ridge v2 DRYSTAR® shoe has a technical upper layer synthetic material construction with microfiber on the side panel and a durable microfibre on the front and rear accordion for durability, mobility and comfort. • Extensive front and rear accordions flex zones made of microfibre for superior comfort, control and support. The microfibre dish retains its shape and offers durability. • zipper that is covered by the closure of the flap and loop grip for better and safer daily use. 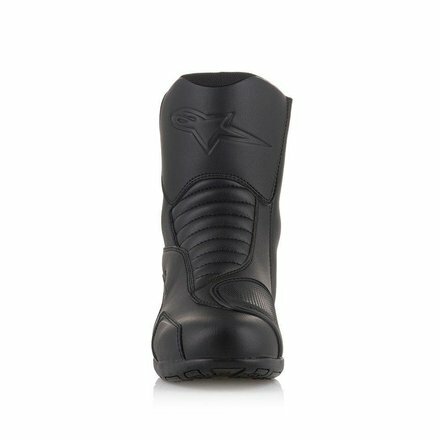 • High modulus TPU injected shift padding for shock protection and durability. 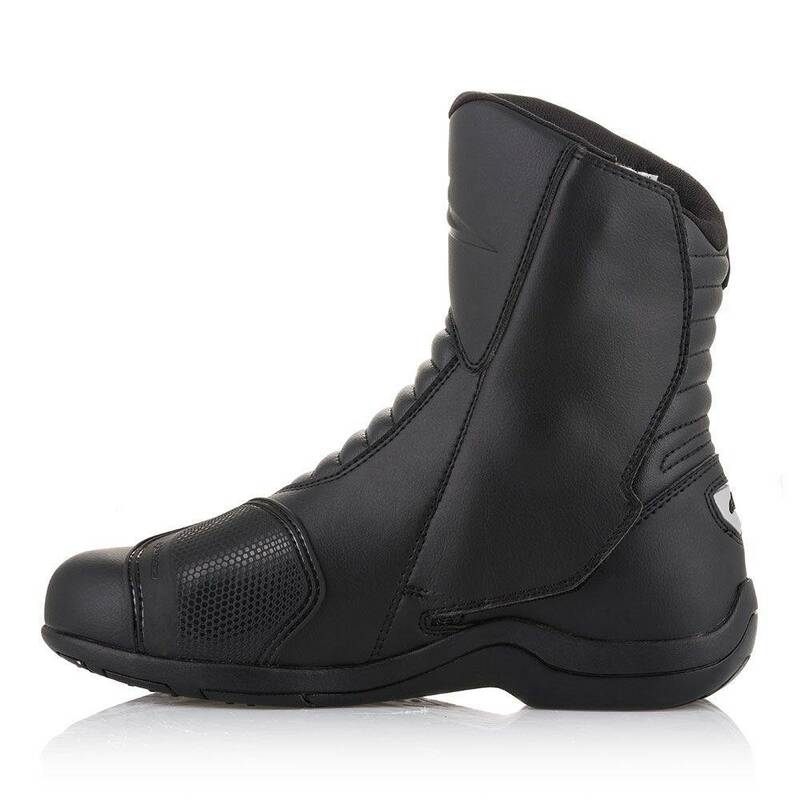 • Alpinestars DRYSTAR® membrane for guaranteed water tightness and breathability in difficult weather conditions. 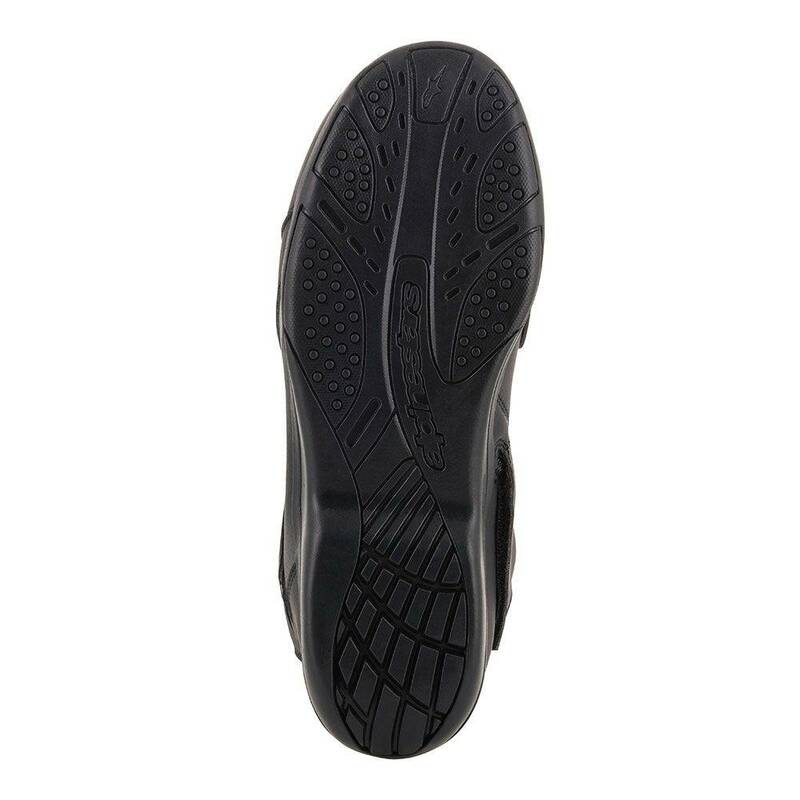 • New shoe design offers long-term comfort and features an ergonomic nose construction for more compatibility with the steps and link. • RIDGE v2 DRYSTAR® boat is CE certified according to CE CERTIFIED EN 13634: 2010. 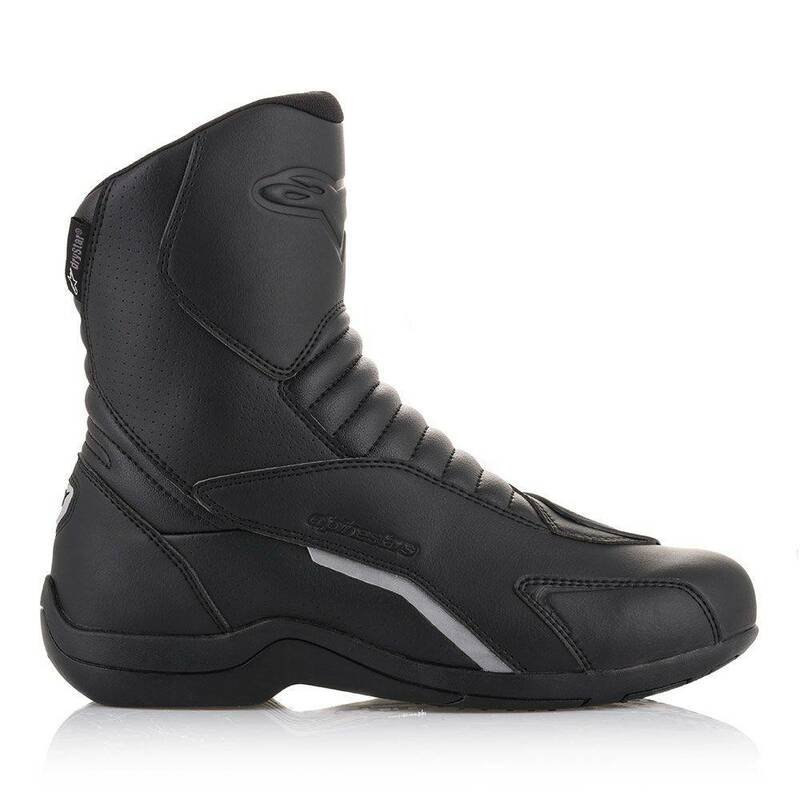 • Double-layer hot-melt reinforcement on shin for weight saving and shock protection. 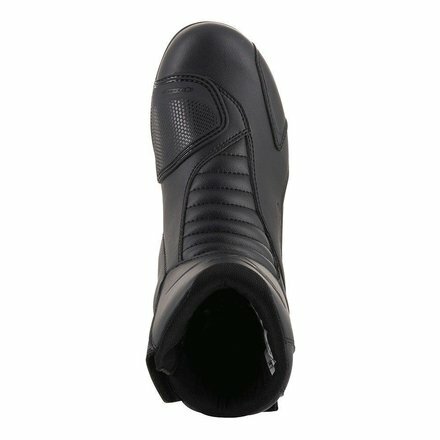 • Full ankle protection: double-density ankle protectors on the medial and sides are reinforced with poly foam padding for protection and comfort. 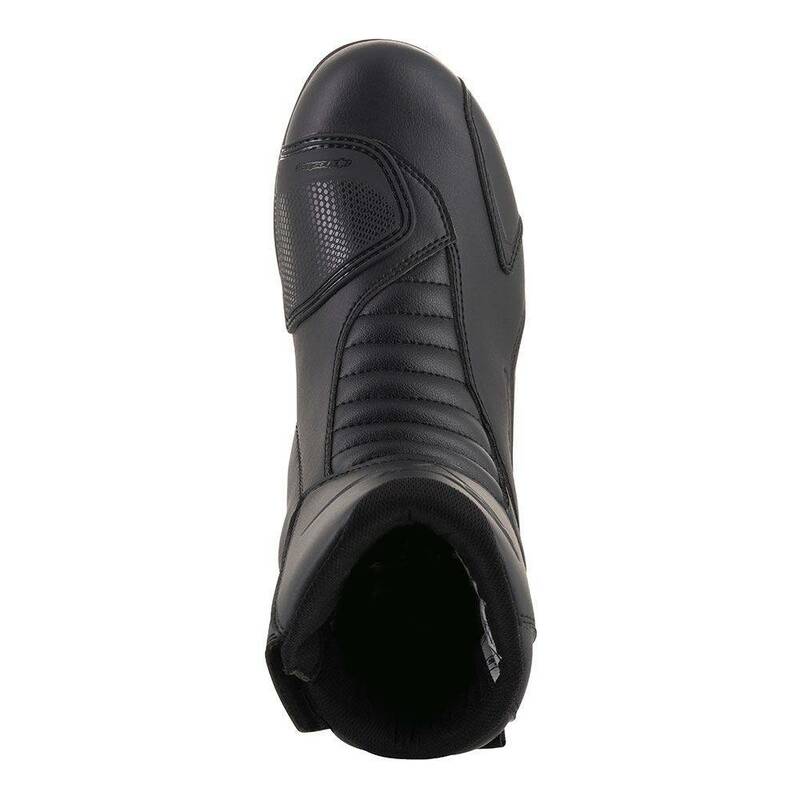 • The pre-formed midsole with high modulus follows the shape of the foot and has a structured shaft reinforcement. • Removable anatomic footbed with EVA foam and textile for memory and comfort. 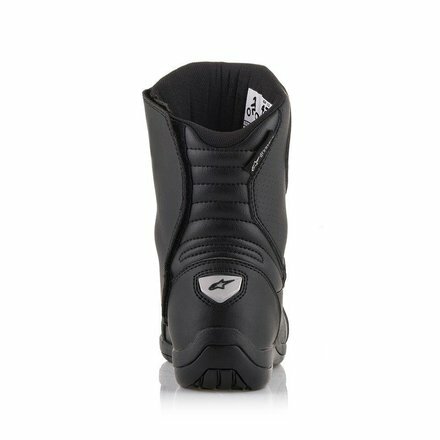 • Alpinestars' exclusive vulcanised compound rubber outsole with unique side wrap design, built to withstand the rotational speeds.